Roasted potatoes are so good. Have you every noticed that almost any vegetable can be improved with roasting? Well, I have! And not being the biggest veggie lover that is great news for me. If you are not roasting your vegetables you are missing out. I think roasted red potatoes always feel just a bit fancy, even though they are quite rustic. I remember shooting weddings and roasted red potatoes where often served at those meals. 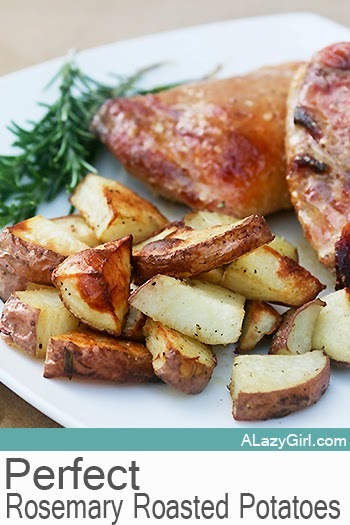 The recipe is just too easy, so get to it and make some roasted taters! Halfway through you will want to flip the potatoes for even browning.